During a gala celebration at the Richmond Hill Centre for the Performing Arts on September 17, the following gardens were announced as having earned the highest number of points during the judging that took place in early August. More information is available in the October 1 issue of the Richmond Hill Liberal. The story is also available online (click here). Our society delegates to the 2015 Ontario Horticultural Association (OHA) Convention that took place in Ancaster, Ontario from July 17 to 19 brought home many awards this year, fully documented in our Autumn issue of the Garden Post and the Fall issue of the OHA's Trillium. 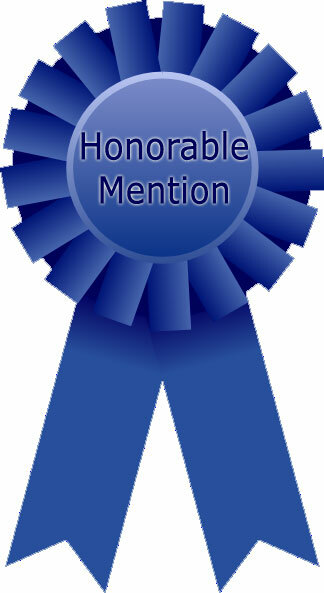 And, two of our Youth members garnered more than a dozen awards, including a Best in Show and a Judge's Choice rosette. As the OHA is made up of more than 280 societies, many of whom participate in these annual competitions, it is an achievement for us to bring home so many awards. Raf Ollivierre, host of the Richmond Hill Garden & Horticultural Society's 2015 Photography Competition, revealed this year's top scoring photos and their associated photographers at the Society's General Meeting on August 4th. A website enhancement posted today enables Society Members to view competition results (click here), including all 29 photos that earned an Award of Merit or Honorable Mention designation from the judges, accomplished photographers and members of the Richmond Hill Camera Club. The Society has been organizing a popular photography competition nearly every year since 1990. Judging of the one hundred twenty lovely front/side gardens selected by Town representatives has concluded. 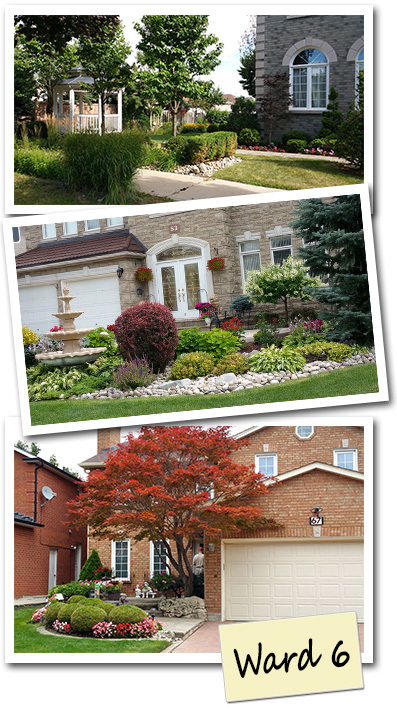 The identities of the three top-scoring gardens in each of Richmond Hill's six wards have been communicated to the Town. Next, property owners will be contacted and invited to an awards celebration in September. Click here for details. 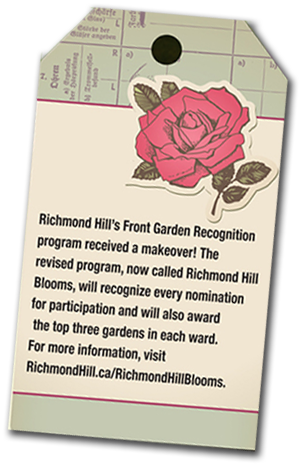 The judges, who are members of the Richmond Hill Garden & Horticultural Society, reported visiting many beautiful gardens and having delightful conversations with the gardeners. They would like to thank all participants for contributing to the beautification of our Town! 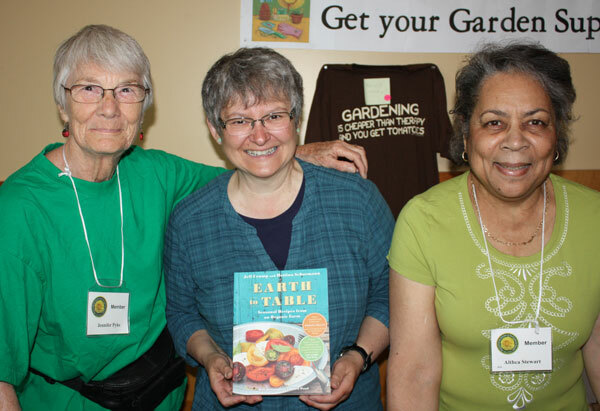 Joanne Witt, of SNAPD, posted fifteen great photos of The Richmond Hill Garden & Horticultural Society's May 9, 2015 Plant Sale at the McConaghy Centre to the June 2015 Edition of SNAPD Richmond Hill. Click here to view all the photos of our successful event, which featured plants, garden accessories and books. As well, L'Arche Daybreak artists offered hand-crafted plant signs for sale. 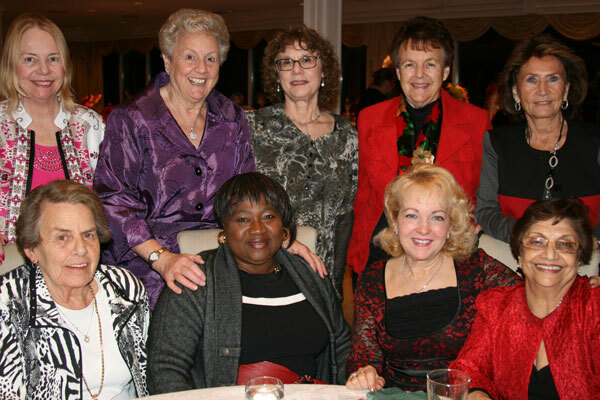 SNAPD Richmond Hill's Joanne Witt posted twenty-eight great photos of our society's 100th anniversary Holiday Celebration and Awards Banquet, held on December 2nd at the Richmond Hill Country Club. The inaugural version of our society's new website, launched on May 5, 2014, earned Honorable Mention in Class 2 of the Ontario Horticultural Association's (OHA's) 2014 Ted Reed Website Competition. Our society's website is a project in honor of the society's 100th anniversary. Ted Reed is Past President of the OHA and founder of the OHA website. This annual competition was named in his honor by the OHA Board in 2009 in recognition of his contributions to the OHA's site. The purpose of the competition is to recognize excellence in the creation of society web sites and to show examples to inspire other societies to improve their sites. 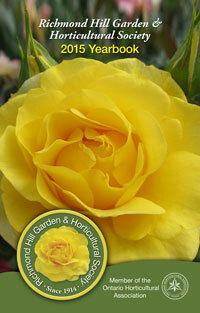 Class 2 covers websites such as ours, hosted externally to the www.gardenontario.org domain. More information about the competition is available in the Fall 2014 issue of the Trillium. Click here to access current and back-issues of the Trillium. This summer, eighteen teams of judges from our society visited 2,089 nominated gardens and expended more than 560 hours considering their merits. Congratulations to the owners of the 1,730 properties who received a coveted 2014 Front Garden Recognition sign! 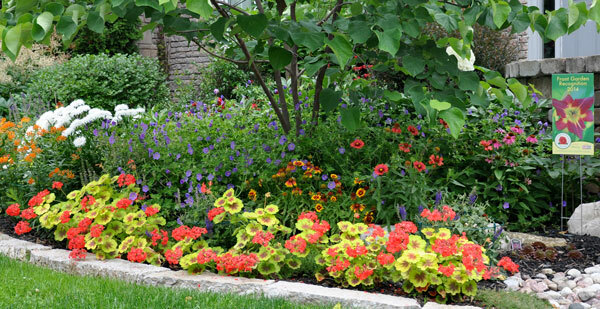 For more information about the Front Garden Recognition program, click here. Our society sent several delegates to the 2014 Ontario Horticultural Association (OHA) Convention that took place in Cornwall, Ontario on July 18 to 20. Winning awards in any annual OHA competition is worth celebrating, as there are more than 280 societies in this province, with more than 28,000 members. This year, we won first place in the Publication category for Flyers, for our 2014 membership flyer. As well, one of our Youth members participated in the Convention Flower Show, and won first, second and third place prizes for his entries, as well as Best in Show! 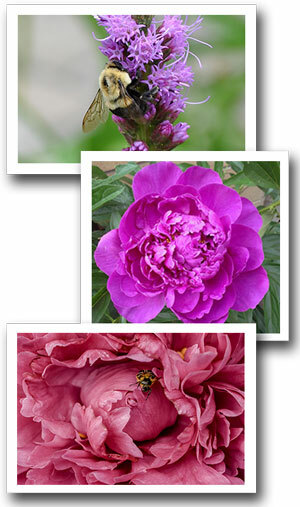 More information is available in our September-October issue of The Garden Post. Members, click here to login to our Members-Only site and access current and back-issues of The Garden Post. Details of all Convention activities are available to the public in the Fall issue of the Trillium, the OHA's quarterly news publication. Click here to access current and back-issues of the Trillium.